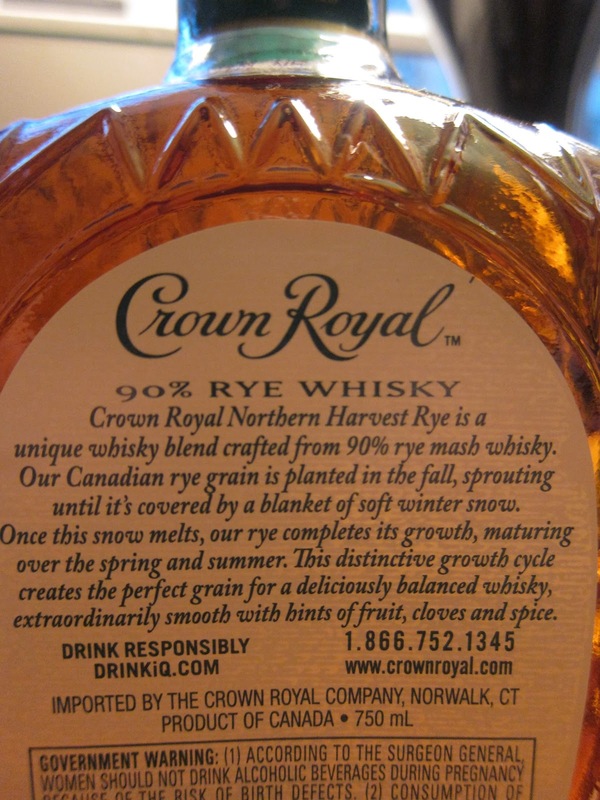 Crown Royal Northern Harvest Rye (45.0%): This is my first Crown Royal review on tire-bouchon and if I am not mistaken it is the first Crown Royal bottle I ever purchased in my life. I drank it a lot before; in bars, whisky festivals, tastings, etc. but don't remember buying a bottle and bringing home before... Somehow the brand Crown Royal just wasn't appealing enough I guess (till now). Lately with the growing trend of Canadian Whisky worldwide and with the success of small distilleries like Forty Creek and Still Waters big whisky companies also felt the need of reaching out the so called "connoisseur" consumers with new and limited expressions like Canadian Club 100% rye, Pike Creek, Alberta Premium Dark Horse, etc. Of course Diageo didn't want to miss that particular trend and started to release new whiskies under their Crown Royal label, even a few single barrel expressions. 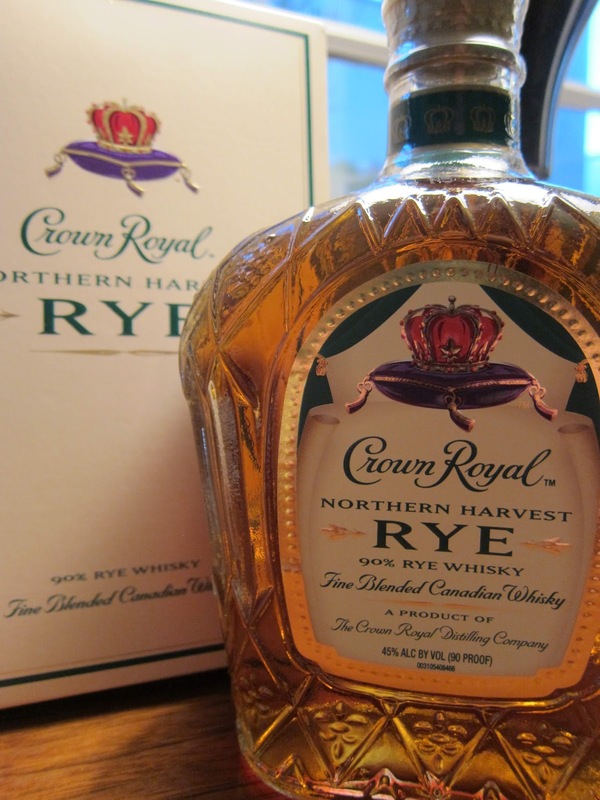 So, Northern Harvest Rye hit the shelves as a part of this new wave... It has a mash bill of 90% rye and 10% of who the hell knows. Bottled at 90 proof and carries a price tag just under $30. Ok, let's take a look at it... Color: Light amber with nice thin legs all around the glass. Nose: Scented moisturizing lotion, rose water, fresh spearmint leaves. Limeade, dried apple rings and lemon buttercream cake frosting. Thin but incredibly perfumy. Oddly adding a few drops of water released more alcohol on the nose but didn't add anything special. Palate: Granny Smith apples, lime flan and toasted oak with crushed red pepper, dried cloves and nutmeg. Peppermint, German no yeast rye bread, orange twist and purple rose petals. Water adds some newly milled black pepper corn aromas. Finish: Incredibly warming and hot with paprika, black pepper and melted butter. Overall: Well, this is definitely not your everyday Crown Royal you mix with Sprite. It has actually the same backbone but definitely way more delicate and layered. Not thick in texture maybe but fruity, buttery and full with gentle spices. I personally didn't like it with water mostly because it covered all those stunning rose notes that I loved so much in the beginning and thinned out the texture completely. Well crafted, and most importantly amazingly good priced whisky. Kudos to master blender Andrew MacKay... I hope to see more limited and experimental releases from Crown Royal since they sure have a lot of different barrels aging in the warehouses of Gimli distillery.